Its finally given a name and a backdrop. IGN was thinking it may be about Sabine, but I'm not sure how I feel about that. We know her already. We need a new character to fan boy/girl about. I am sooooo freaking excited for this. I stand corrected. That photo is real, which means production has likely started in some capacity. I do think it’s odd though that the first set photos have been released without any cast announcements. How can this work? Mandalorians were warlike bounty hunters in the time of the Old Republic, and by the time of Luke Skywalker they were peace loving and spread out across the galaxy? One non comformist I guess. I love how they mention Jango and Bobba Fett when canonically they are not Mandalorians. True but they do have the mandalorian armor haha. Not all Mandalorians agreed with the pacification of their race (eg. Deathwatch). It's quite possible the hero (?) of the series didn't agree with it either, but maybe wasn't so extreme that he/she joined Deathwatch. Or maybe they did and left later on to become a bounty hunter or mercenary. I'm pretty pumped for this one, especially since the main character in Resistance seems goofy, like Shaggy from Scooby Doo. That was pretty disappointing, especially following the rather serious tone at the end of Rebels. I'm sure there are clans that still are fighters. Like Saxon during the Empire and Vizsla during Clone Wars. I don't think there were only a handful of Mandalorians left. My bet would be an incognito Boba Fett after escaping the sarlaac pit. Pedro Pascal is the lead in the show and yes he’ll be joined by Gina Carano, Carl Weathers, and Nick Nolte. But he’ll also be joined by Werner Herzog! Yes! That crazy rumor is true. Also joining the cast are Breaking Bad’s Giancarlo Esposito, Supernatural’s Emily Swallow, and American Gods’ Omid Abtahi. “We’re having a great time working with this incredibly talented group and excited for everyone to see what we’re up to,” executive producer Jon Favreau said in the Lucasfilm release. Seriously though, what an insane group of people. We’ve got a former MMA fighter, Apollo Creed, a triple-Oscar nominated actor, an Oscar-nominated director not directing, Gus ****’ Fring, and so much more. 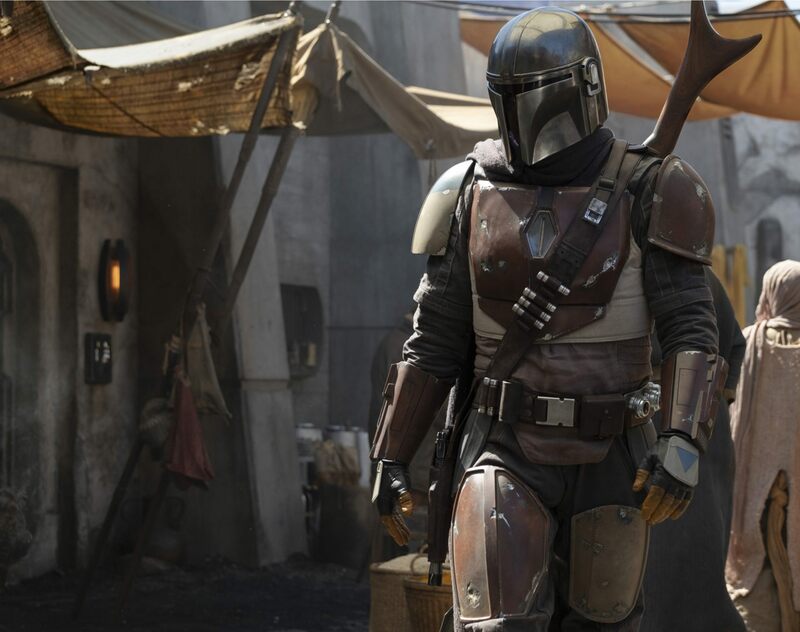 As previously reported, The Mandalorian is being written and executive produced by Jon Favreau and will debut on the upcoming Disney streaming service Disney+, “which is set to launch in the U.S. in late 2019.” Thanks for that nugget, Lucasfilm. I think this could be good - but there seems to be a lot more content coming out in this era, including Resistance, to help why/how the First Order came into the picture. Shame the ST needs so much backstory to try and give it credit. Why not a new era? I'll reserve my judgment, I like the actor and I like Favreau - so, I am hoping this is some more good content under the Disney umbrella, like Rogue One was. I think the need for more back story was more of a marketing scheme to make money, than a way to give credibility. It's also driven to extremes by the fan base, who want to know literally everything about each character that appears on screen. Make money? on ST era content? Resistance is not getting the turn out it was expected to get - a lot of people hate that show having over 1000 falsified reviews on RT. The comments across social media for this show are mostly negative. The trailer's like to dislike ratio was almost as bad as Ghostbusters 2016 - which apparently is the most hated trailer on Youtube. The Last Jedi was atrocious and split the fandom. Half of fans do not care about this era because of it. In fact merchandising has taken a huge tumble. Many videos across Youtube document this. I myself even saw TLJ action figures in the Dollar Store (never seen that before!) and now Hasbro are returning to releasing Original Trilogy action figures to make a profit. They can always fall back on OT merchandising like a safety net - because it was characters and an era and story appreciated by all fans and ages - its a safety net. More content in this era, before any chance of redemption from E9, is a bad idea. But like I say - I like Favreau and Pascal, and also Filoni is on board with this. He is only connected to Resistance by name, but is not overseeing that project. Wonder when Kevin Smith will be in it? Just a real quick reminder, this isn't a thread to discuss The Last Jedi and sales figures resulting from it. 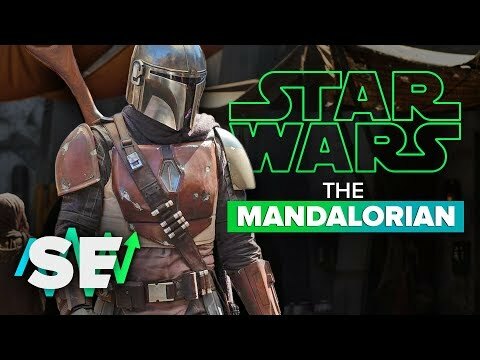 This is to talk about The Mandalorian, so let's please stay focused. IKR.. Heck, have K-Smith write and direct.. I may be a bit rusty, but I know he is a super nerd. He would probably wow us. Loved KS in "Live Free or Die Hard" with B.Willis. KS "Oh you a big fan of the Fett?" BW "No I was always more of a SW fan." I always liked the exchange in Armageddon, where Ben Affleck tells the Russian that he was going to jump the Armadillo across the canyon on the asteroid like Evel Knievel across the Grand Canyon and the Russian says "I have never seen Star Wars"